Outside the Alexander McQueen show on a cold Sunday night an invitee arrived after the doors had closed and the show had began. She pleaded with the security to allow her into view the collection. 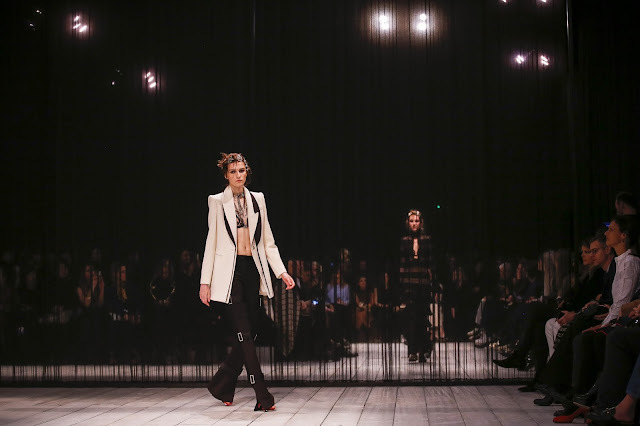 Disallowing her entry on the grounds of the inside doors opening onto the catwalk, the woman was adamant: she didn't care, she wanted to see the collection. Eventually, she acquiesced. Inside the Royal Horticultural Halls, the venue was plunged into darkness as the show commenced. Perched on gilt chairs, guests watched the most beautiful clothes imaginable glide down the runway, oozing resplendence. Natalie Westling opened the show in a black coat with fur-lined lapels. 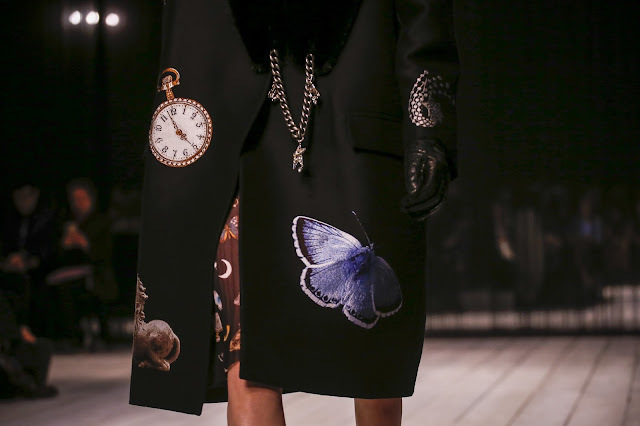 There was a star chair, a stop watch, a butterfly and a horse of sorts printed on the look. Her hair was unkempt and had embellished flower petals adorned here and there. There were more butterflies, stars and stopwatches as the collection progressed. There were puckered lips and florals too. Inklings of the menswear collection could be spotted throughout the collection too. A mishmash of the brand’s past and stopwatches could be red herrings. Alternatively, they could signify the future. 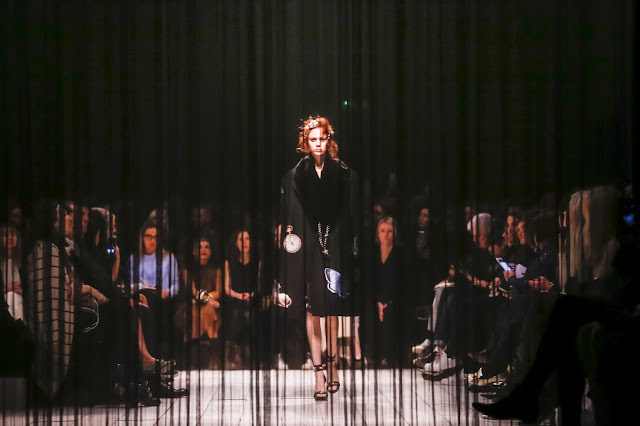 Rumours swirl that this could be Sarah Burton’s parting collection for the brand before she assumes the position of creative director at Christian Dior. There was of course the underlying fact that the show was held in London—the first time in fifteen years. Realistically it was just because Burton was a few weeks away from having her third child. 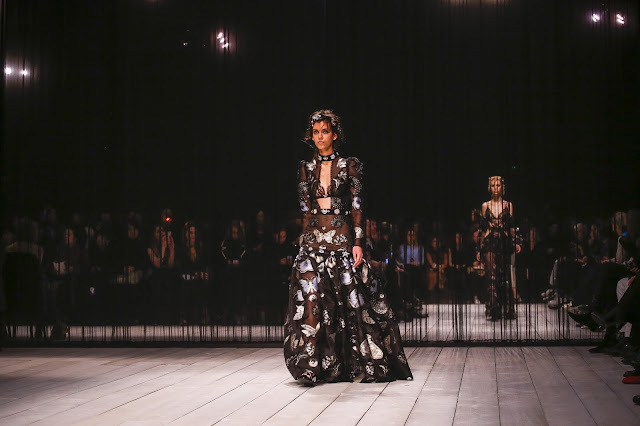 But perhaps it would seem fitting to present her last collection in Lee McQueen’s hometown. The stopwatch, a motif to depict the time ticking, awaiting yet another announcement. Personally, I hope this wasn’t her last. The clothes in every one of Burton’s collections can be described as beautiful. 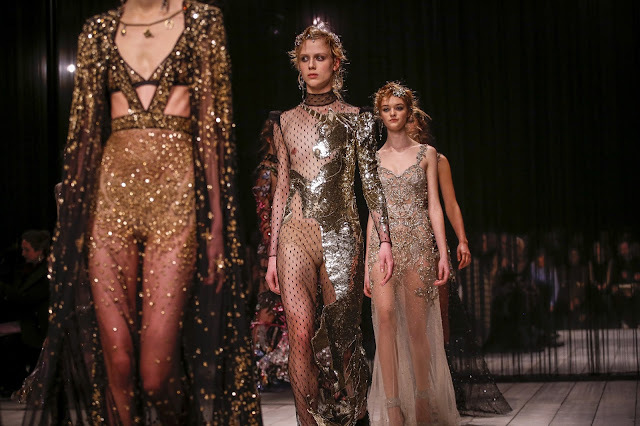 There’s sparkling embellishment, dripping chiffon, heavy encrusting, fabulous lacework, intricate suiting and magnificent fabrication. 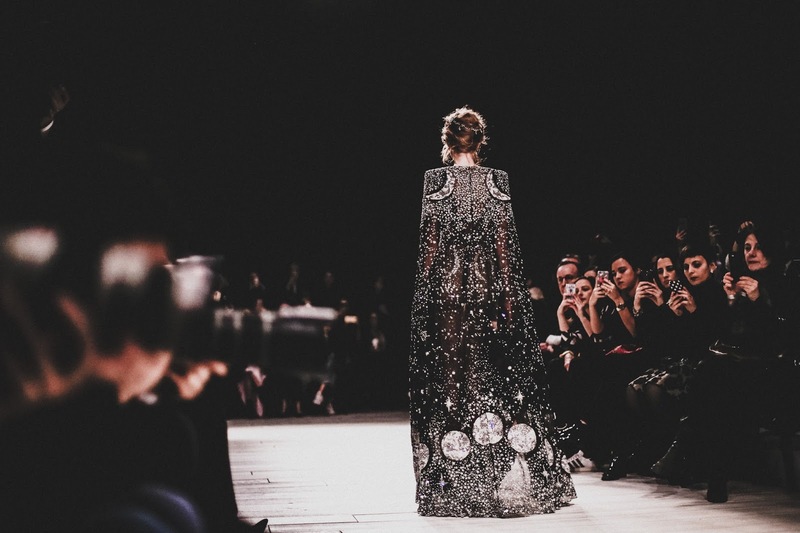 Countless hours were spent adorning colourful sequins to chiffon gowns. 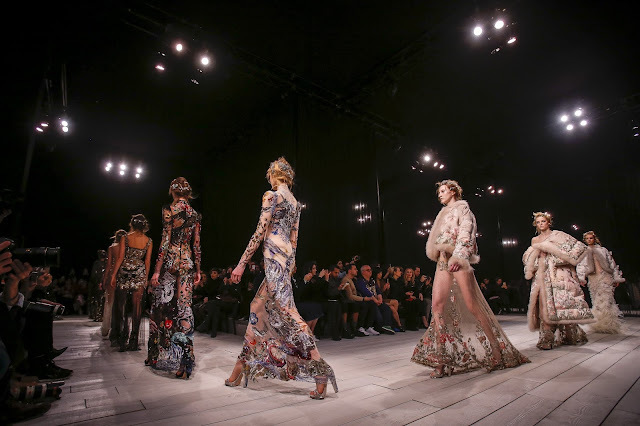 into something that is as era-defining as McQueen’s designs were. Closing the show was Maartje Verhoef in a satin jacket, with fur accents and delicate butterfly embroidery. 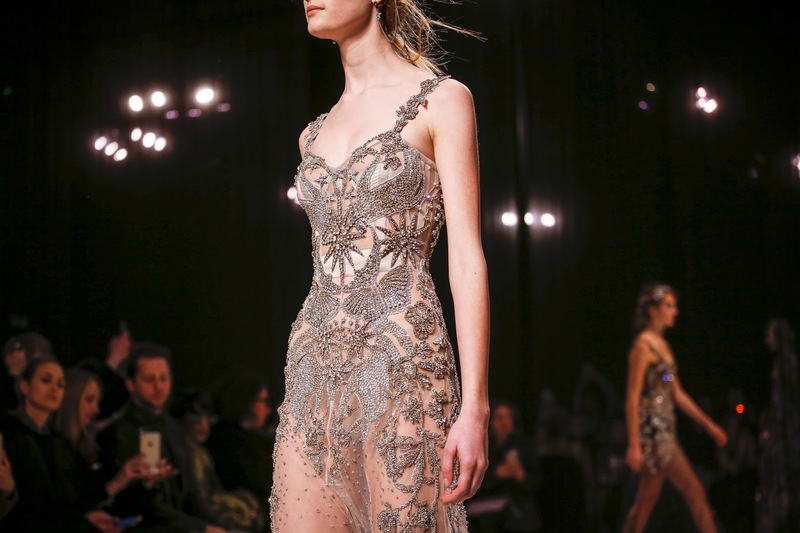 The gown underneath had a sheer bodice, embellished lightly with sequins. 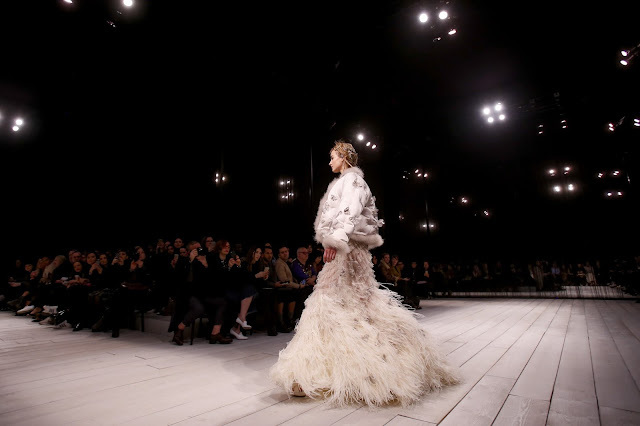 The skirt exploded into a melange of ruffled chiffon, feathers, butterfly embroideries and shimmery flutters. A given: it was gorgeous—but the unexpected addition of the jacket might’ve informed us there’s more to come from this house. This collection is proof—even though it’s not as groundbreaking, it’s stunning and it’s not to be missed. My heart broke for that latecomer.